Your closet can say a lot about you. Whether you’re dressing for success to start your day or getting ready for a night on the town, your closet should be a reflection of your style and help make life as organized as possible. 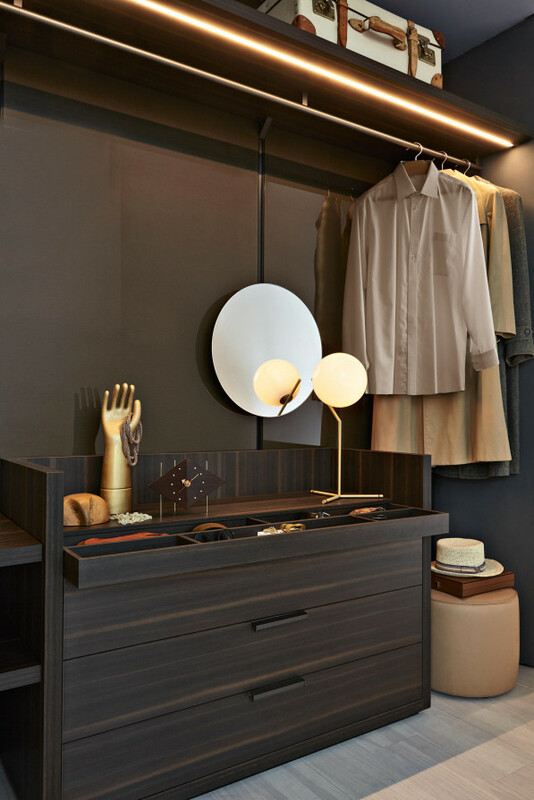 Here are four individualized custom closet designs that can turn the messiest of morning routines into a neat freak’s dream. If you’re the proud owner of dozens of shoes, you’ll want to keep them on display. 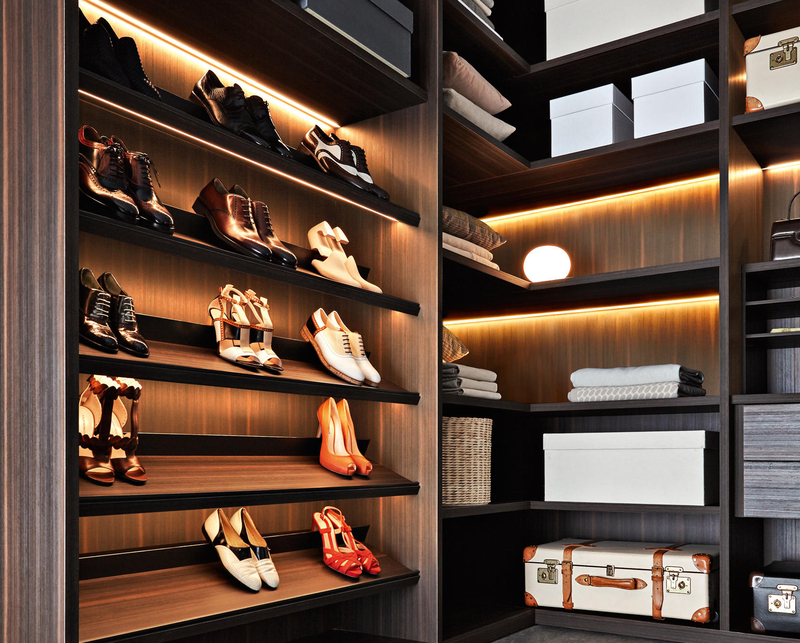 Ditch the overflowing bins of mismatched footwear and opt for built-in shoe shelves. 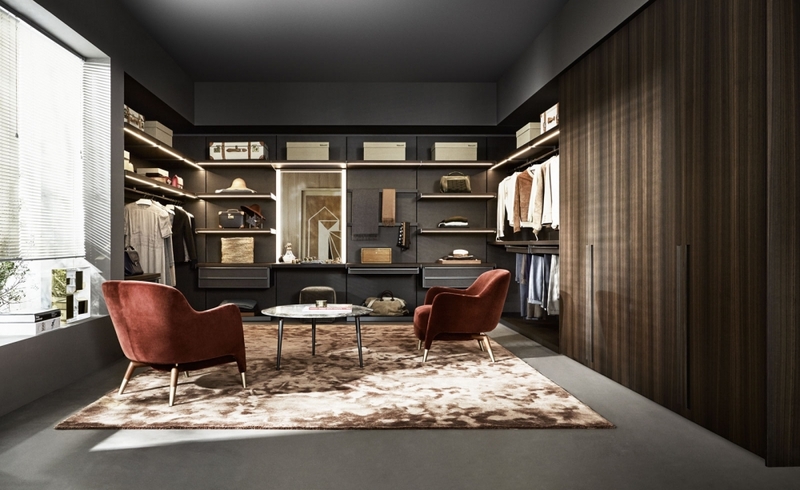 The tailored design system of the Gliss Master Walk-In Closet from Molteni&C is the ultimate wardrobe without doors for showing off all of your belongings, including flats, sneakers, slippers, and heels. The slanted shelf rack design allows easy access and viewing of your prized possessions, with options to adjust height for taller boots. Not sure what pair you want to rock that day? Take a lap around the inside and decide what looks best with your chosen outfit; there’s more than enough room for exploration. If you like to keep it simple, it’s better to stay out of sight and out of mind. 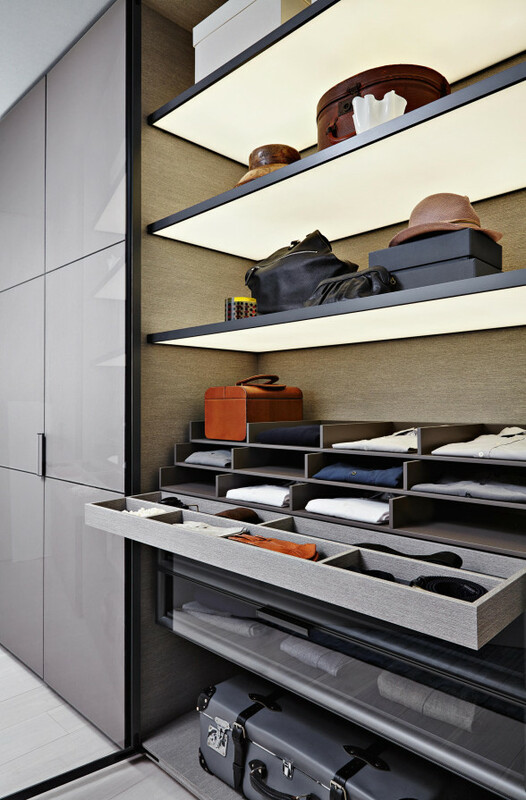 Choose a sleek design that’s as understated as you are, like the Gliss-Up Closet. 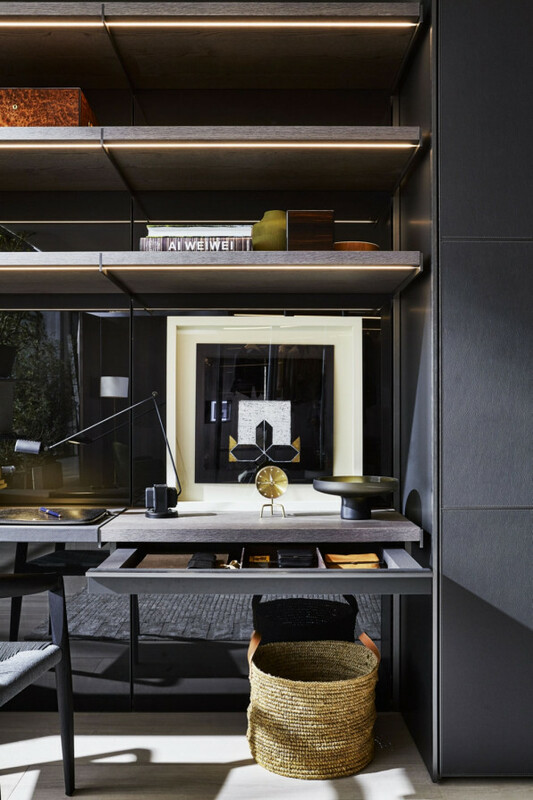 As an entirely suspended bedroom system, the closet unit is attached to the wall freeing up the space below for other belongings or keeping the area empty to avoid clutter. 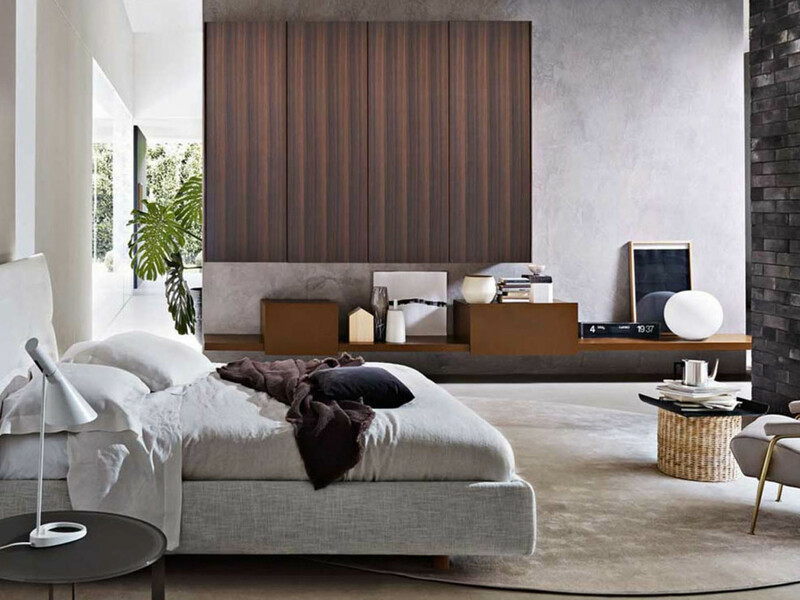 For maximum customization, add wood or lacquered doors with Niche handles. 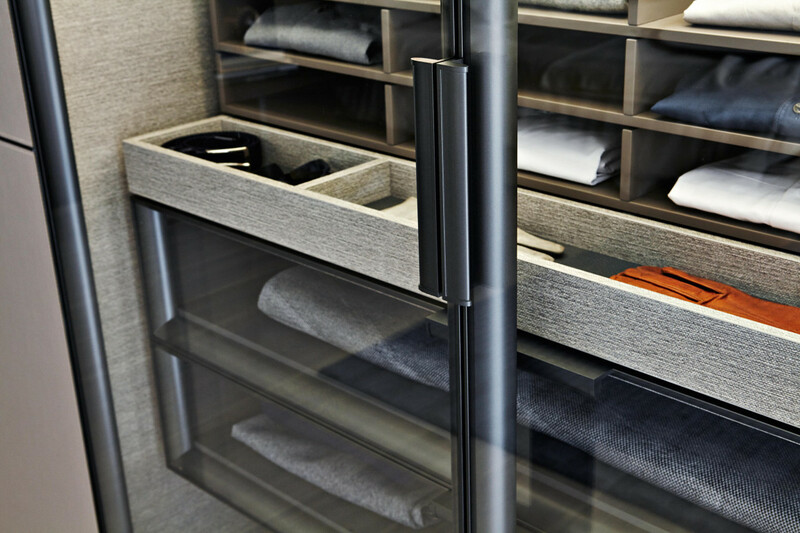 Another sleek choice is the Gliss Master-Glass Closet, featuring a glass-hinged door with an aluminum frame in pewter finish with a side handle. The all-glass back panel inserted into a metal frame allows a hinge opening to 180 degrees to keep your few favorite belongings right where you want them. 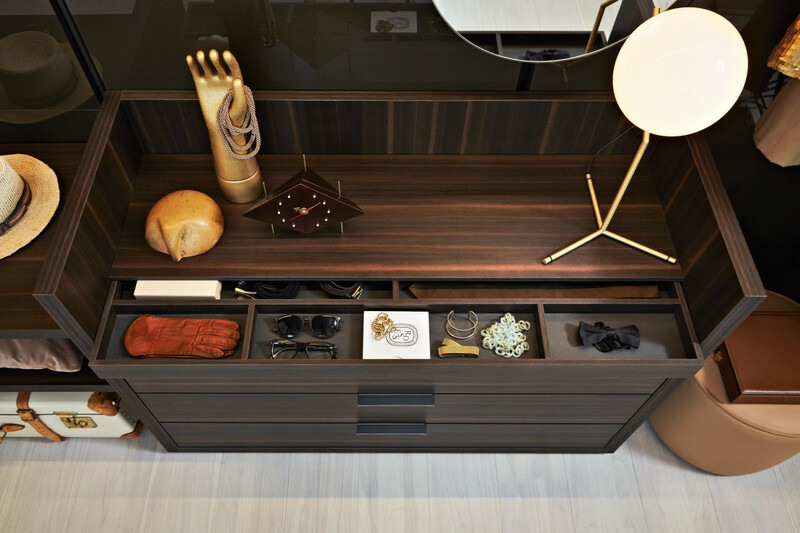 The clean design allows you to see your stuff without digging through the dark abyss of a traditional closet, and lets you show off your carefully curated (and very tidy) wardrobe. 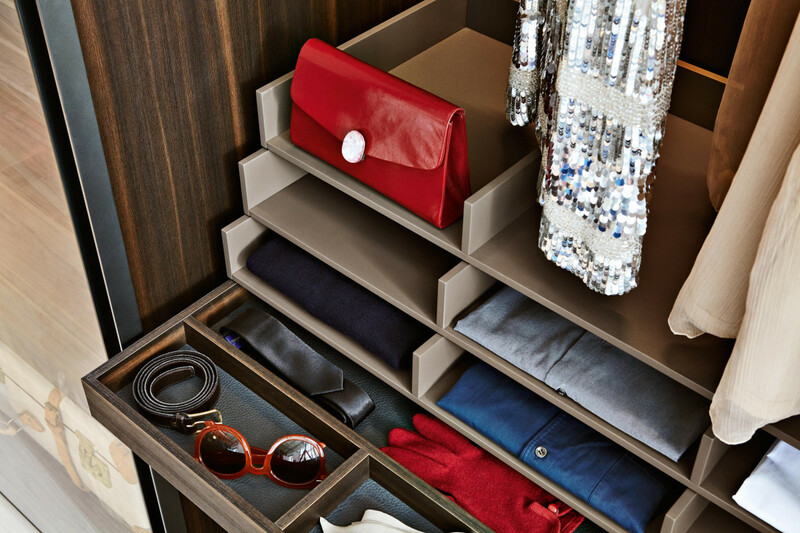 From belts and bangles to watches and sunglasses, your accessories require the most organizational aptitude. The Gliss Master Island can house all of your assorted items and finishing touches. 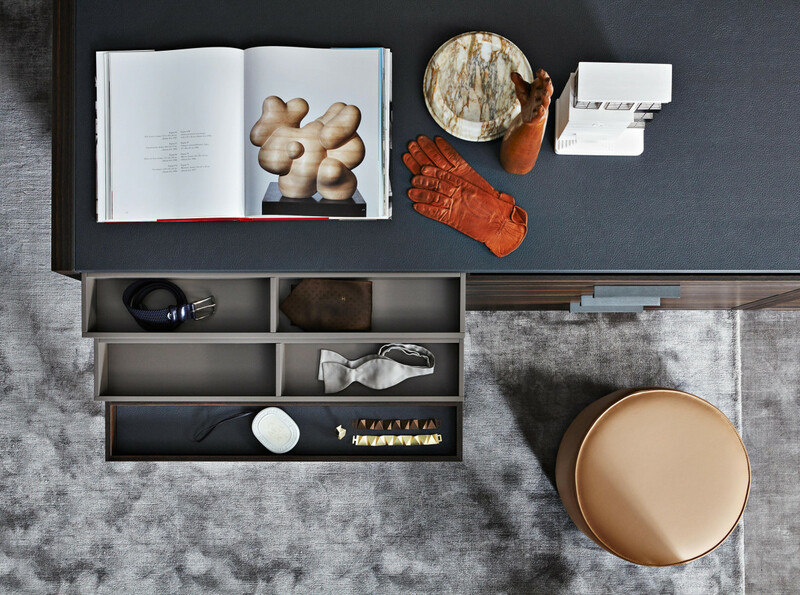 The island’s main focus is on the materials; the free-standing unit completes any closet with storage trays, drawers with clear glass fronts, and tops finished in eco-skin. 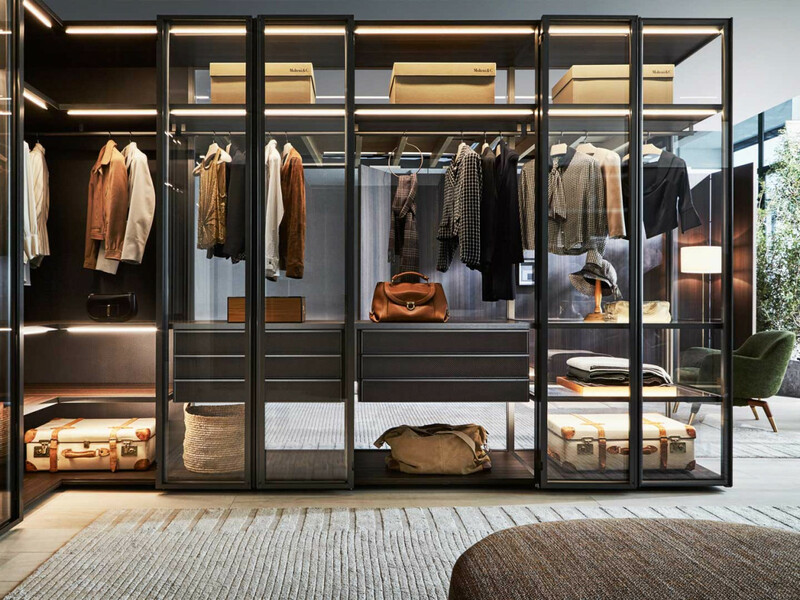 His and her closets can unite the unique tastes of you and your partner in a shared space. 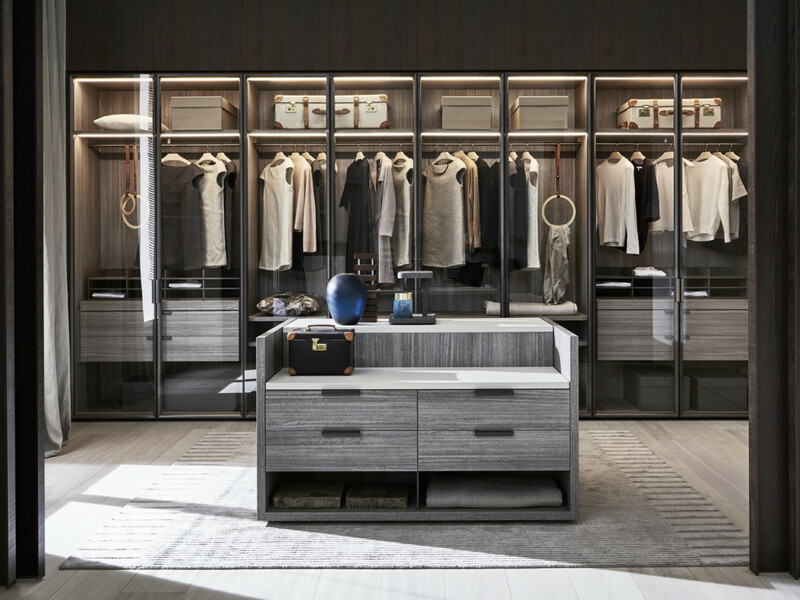 The Master Dressing Walk-In Closet is another wide open concept that allows for customizations that suit each person with coordinated internal fittings and aesthetic finishes. For a feminine feel, raffia or silica finishes work best and a more masculine look would call for laryx dark or dolomite finishes. 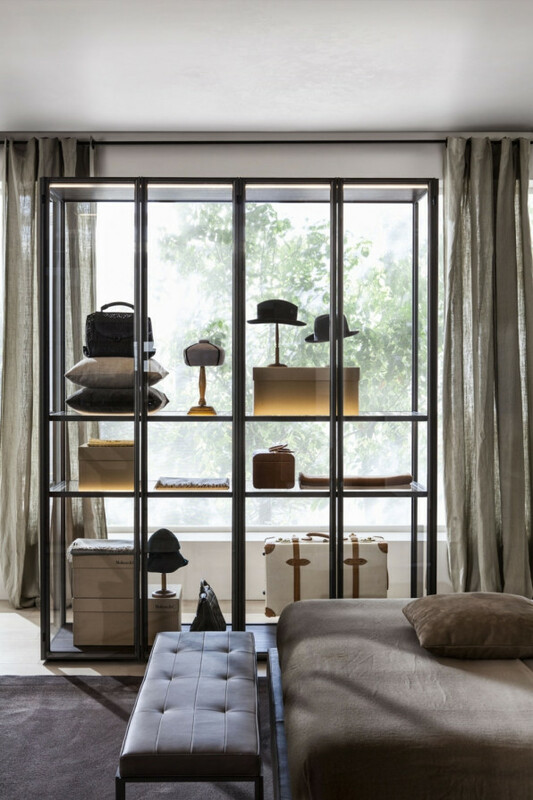 A jewelry tray with a new vanity compartment complete with a large, illuminated LED mirror would be the perfect customization for her, while a new tie and foulard rack accessories and eco leather inserts for watches and belts is ideal for him. For fashionistas with a full wardrobe to those sticking to the essentials, find your own closet style and choose the specifications that work best for you. 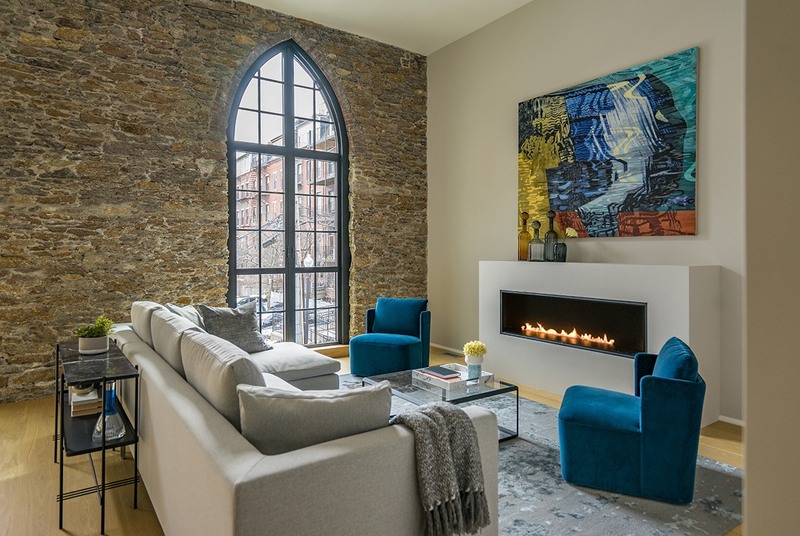 For more information, visit casadesigngroup.com or call 617-858-0805. 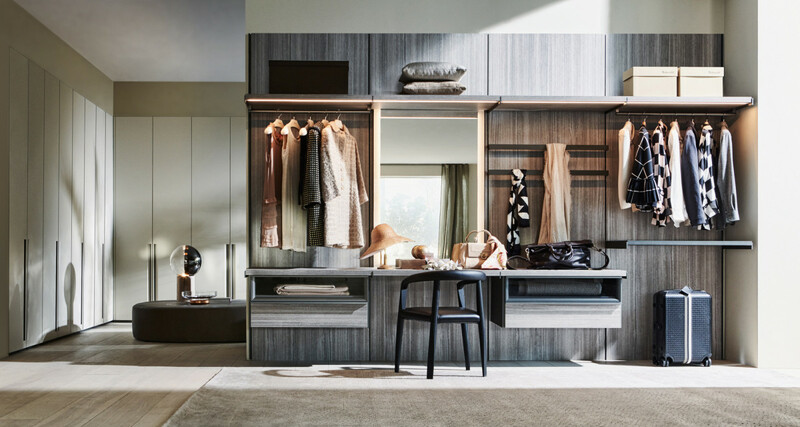 To see these beautiful closets for yourself, go and explore the Molteni&C Dada Boutique at 450 Harrison Ave, Boston, MA, 02118.